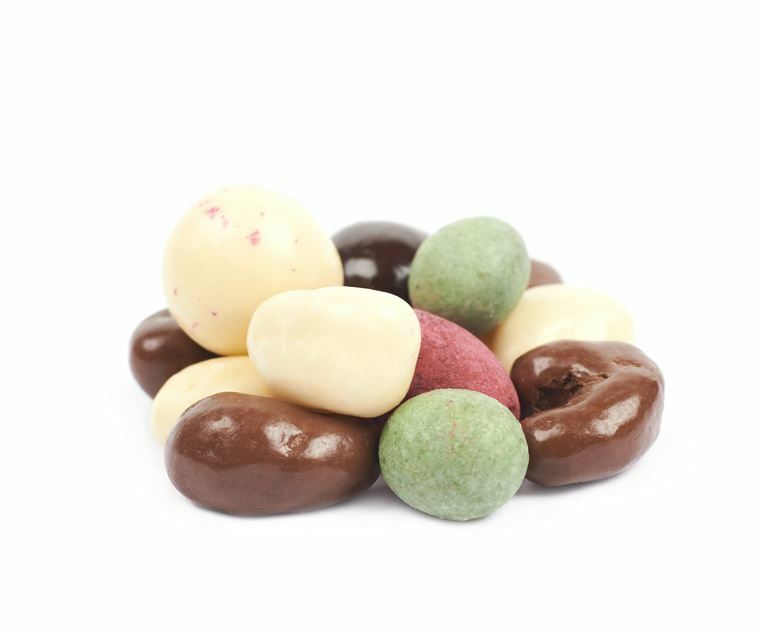 Chocolate-coated cashew nuts, chilli-almond slivers, hazelnuts, pumpkin seeds and almonds, chocolate clusters and more combine the delicious nut aroma with the sweetness of milk chocolate, the power taste if dark chocolate or the freshness of yoghurt chocolate. Chocolate-coated nuts for a special, intense taste experience. Almonds coated with white chocolate with "Matcha Green Tea"